Photo: Fort Harmony and the Harmony Mountains across US I-15. Eastern Mojave Vegetation Fort Harmony and the Harmony Mountains across US I-15. 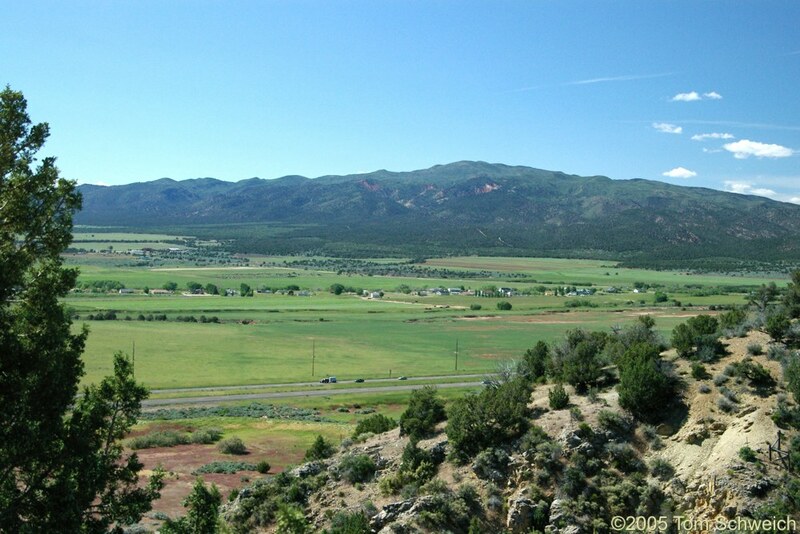 Photograph taken May 31, 2005 from the access road into Kolob Canyons. U. S. Interstate 15: 28390.